Shannon Business Aviation LLC is an aviation services company which specialize in providing ground handling and aviation fuel supply, as well as all related services, worldwide, to commercial air carriers, general aviation and government aircraft. Flight support starts with obtaining overflight permission. We understand each permit is critical and aim to obtain each one in the shortest timeframe, taking into account the requested route and intended schedule data. We are always focused on providing accurate flight plan, completely customized to your preferences. You can trust our flight planning specialists and meteorologists to consider fuel efficiency, quickest time to your destination and safety. 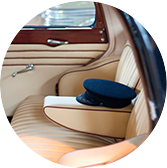 Wherever your destination, we will coordinate the unique requirements of your trip, while adhering to your preferences and ensuring you are receiving a superior service. Having a wide network of representatives in more than 100 Airports in Russia and CIS, we provide handling services up to the highest standards. The reason for our ongoing success in this area is quite simple: we endeavour to create long-term partnerships built on mutual trust, respect and integrity, not only with our customers but also with our agents. Prime aviation companies around the world choose us as their agent when they need the formalities to be completed smoothly and without hassle. You'll be advised well in advance of all official regulations at your point of destination. We know that pre- and post- flight facilities are just as important as the flight itself. Fast Immigration and Customs control, good coffee and pleasant silence, in other words, total comfort are what we aim to provide. 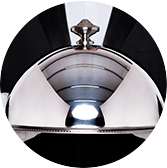 Catering is an integral part of a comfortable flight. Often the most important thoughts come while relaxing during a meal, therefore the importance of quality and mouthwatering food should not be underestimated. We carefully deliver catering from the best restaurants in any city, ensuring you of the highest standard in in-flight meals. Fast and timely transfers leave you free to work on the other details of your flight. 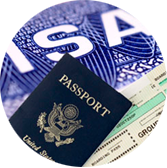 We enjoy partnerships with many companies, thereby offering the most price-competitive and smooth transfer services. Comfortable rest for the crew is a very important part of successful future flight performance. 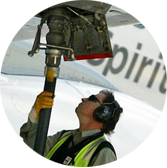 Aviation fuel services provision has always been our priority. 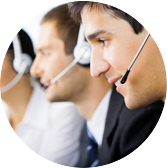 Constantly strengthening our Company and its development, we have established a wide network of service providers, and are able to provide you with the most competitive prices in Russia and CIS. We provide services to several segments of the aviation industry, including but not limited to: major and regional airlines, freight and cargo companies, corporations, airports and municipalities, fixed base operators, helicopters, military and government state flights. We serve a number of scheduled flights, corporate and business jets, government, military and cargo flights. Our fuel team target for the best deals with fuel vendors, and have exclusive connection with FBO and airport authorities. 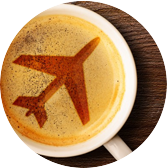 This allows us to offer competitive rates for jet fuel reselling within our vast network. 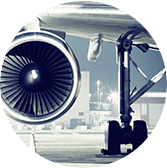 As a fuel provider we render high quality services based on IATA Fuel standards. With the help of our experience and proactivity, we are able to guide our customers to the best price alternative, giving personal attention to ensure the success of every flight. We make it available at more than 1000 locations all over the world! Operating Hours: available to meet your needs 24 hours a day, 365 days a year.